Want to change your body, today? That was the question that Daniel asked me when I brought my daughter to talk to him about nutrition. I was an ‘OK’ weight, fairly healthy, but I was busy with life and I’d never considered going to a gym or classes, and certainly not having a Personal Trainer! But the question ’What about you?’ kept playing on my mind and eventually I decided that yes, I mattered and it was time to act. That was over 3 years ago and I can honestly say it was one of the best decisions of my life! 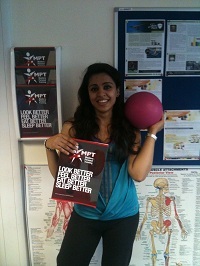 I consider the time I spend at MPT as ‘my’ time – an investment in my overall health – body & soul! Initially, I attended some group classes and occasionally used the gym downstairs, but as I wanted to improve my knowledge and results further, so I started some additional ‘one to one’ P.T. lessons with Daniel. Daniel is not ‘just’ an exceptional trainer – he is a positive, inspirational motivator. His energy levels are infectious and his knowledge about all aspects of health, fitness and nutrition is incredible. He wants to understand my goals plus any barriers and he will advise and plan a programme to help me achieve it. He is there every step of the way, keeping me on track, focused and determined to succeed. I feel that he believes in me and I trust him implicitly. He knows how to push me beyond my natural limits and the feeling of achievement that I get from training with him is enviable. Daniel has the unique ability to make you feel valued, and your health and wellbeing are truly important to him – if he can add value in any way, he does! Since I started training, I have lost 2 stone of weight (I hit my weight target over a year ago) and I barely deviate from this weight now – so I am confident that I won’t pile the weight back on. I am physically stronger than I’ve ever been in my life and I don’t have the back and knee pain that I had suffered with for over 20 years. I like my body now and I proud of what I have achieved with Daniel’s unstinting help! The first time I met Daniel, he was giving a PT session to a client at my local gym. I was intrigued. I had never seen his style of training before and booked a session with him… fast forward fifteen years and I’m still training with him! MPT is the total package. Daniel sets a high bar and all the MPT trainers follow this example. Sessions are tough, but fun, with staff keeping a careful eye on your technique and effort. Daniel was talking about nutrition, exercise and mental well-being years before everyone else got onto the bandwagon. He has always strived to be one step ahead, attending pioneering training and nutrition events, and this is reflected in the innovative attitude that is MPT’s signature mark. MPT has a ‘wraparound’ approach. You are listened to about what you want to achieve and how you can realistically reach your potential. Your trainer discusses diet and health-style, not just exercise, and they keep in touch to motivate you with the training programme. In January this year, I decided I needed to seriously review my health. At age 55, my cholesterol was slightly raised and I was run down with a viral infection. I booked some PT sessions with Hayley, set a goal to lose some weight and find my training ‘mojo’, which had seriously deserted me! 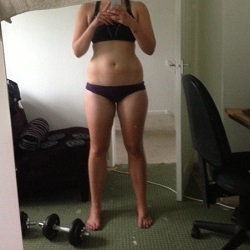 Seven months on… I’m a stone lighter, have the lowest body fat I’ve had for a long time and feel fit and healthy! Hayley was a great motivator and gently coerced when I didn’t want to make the effort. I can’t imagine not exercising at the moment! There are still a few improvements I want to make before the end of the year, and I know I will achieve them because of the continued support I receive from MPT. MPT has been a constant in my life for fifteen years. The ‘bespoke’ approach you receive is outstanding. Daniel, and his team, are highly professional, yet maintain the personal touch. 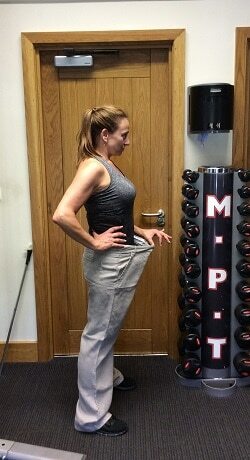 I would recommend MPT to anyone who really wants to make permanent changes to their health, fitness and lifestyle. It’s now 6 months since I filled in the consultation request online that, without being too dramatic, has changed my life. I’ve never felt compelled to write a review before, so here goes. So, as I type at month 6, I’ve just spent some of the weekend doing the best kind of spring cleaning. I’ve removed so many clothes from my wardrobe and drawers that are far too big. I’ve also moved clothes that were being stored under my bed because they were too small, to my wardrobe and drawers because they fit me now (I just need to check that they are still fashionable and age appropriate as it has been 10 years since they were last worn). I am absolutely thrilled at what I have achieved in 6 months with the help of the team at MPT. This is an understatement. I can’t believe that I actually look forward to training nights, I look forward to getting on the scales to track my progress and I have so much choice of what to wear without having to think about what I want to cover up. I am still work in progress, but I am totally ON IT and the future really does feel very bright! My previous experience of losing weight was based very much on starvation, which invariably resulted in a yo-yo dieting since I was a teenager. In more recent times, with extensive travel at work, I had got to a place where restaurant meals were the order of the day and exercise did not feature at all. I knew that I had to change, and even though I was ‘trying to make healthy food choices’, my clothes were not feeling any looser. I didn’t want to just attend fitness classes – the ones I had been to before were impersonal and didn’t push me if I didn’t want to push myself. I didn’t want to just to go a gym – I needed some direction and encouragement. I needed to invest in myself. I needed a personal trainer. It was a revelation. And the other revelation was that I could not starve myself to lose weight if I was doing that in conjunction with exercise. I needed to fuel my body with the right nutrients. I was so nervous when I went to meet the MPT team for my consultation. But then I met my trainer Sam Baker and started to get excited as we discussed my goals and how MPT could help me achieve them. This was really happening!! We booked in my assessment for the following week and then I had my first PT session a few days later. Oh my word, I was on my way to achieving my goals and it felt amazing!! To have someone focussed on helping you, encouraging you, working out what you needed to do when you trained was exactly what I needed. I continued with PT twice a week, and started tracking my food intake. Even I could see the difference in the mirror, and my clothes started telling me that I was making progress. Friends and family started to notice too, and that felt so good. Sam kept moving the bar in my PT sessions, so I was getting fitter and stronger – more than I would ever have achieved on my own. I was ready to step it up a gear…. Sam gave me the confidence to sign up to the Ultimate Fitness Camp last November. A full day of activities – 4 workouts and 2 seminars. What an incredible day. I had never done anything like this in my life. All of the MPT trainers helping a group of 12 like-minded clients to achieve goals that I had not realised I had in me. I was actually emotional at the end of the last fitness session with what I had achieved in that day – I was so overwhelmed the progress I had made in my first 3 months with the MPT team. At the Fitness Camp, I met some more of the lovely MPT clients, which gave me the confidence to start going to some of the classes at the gym. So many friendly faces, and such a great selection of classes. You don’t have to sign up for membership, you can pay as you go for the classes. I actually love circuit training. I can’t believe I typed that! The trainers are there to make sure that you do push yourself and smash the activity at each station. I go twice a week now, and am continuing with a PT session each week. I continue to drop a pound or 2 each week and will be at my target weight within the next 3 months. I am fitter than I have ever been. I am not hungry. I have more energy than I have had in ages. I am more knowledgeable about nutrition and fuelling my body with the right food. I have found a place at MPT where I feel totally comfortable, where I know that I will be pushed and will push myself to achieve my fitness goals, where I have all the support and encouragement that I could wish for and where I have fun and drive home with a big smile on my face. After months of complaining about my weight/shape I decided to do something about it and contacted Daniel. We had a chat about my goals etc and got started. I have been training for about 9 weeks now and the difference in my body, diet and general fitness is incredible. Surprisingly, my weight has actually stayed the same if not increased slightly. I have taken on board all the nutritional advice and the results after 9 weeks are very impressive. Masters Fitness is a great place to work out and meet new people. The different classes are great and all the team are on hand with help and advice at anytime. I didn’t think I would ever say I look forward to going to the gym every day. Great work guys!!!! 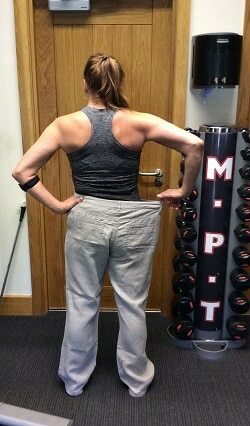 I went to MPT for advice in June this year as I felt my current exercise and diet wasn’t working well for me anymore; it was 20 weeks until my holiday so I was determined to lose body fat. My trainer created a detailed personal plan to work all areas of my body – we talked through the workout and it seemed complex at first but when I did the routine myself the next night it was really straight forward, overall the workout took at 40 minutes. Because I had a plan I felt like I could follow it and gave me something to focus on and after a few days of doing the routine I was confident I knew what I was doing. I then provided a food diary for a typical week and once I gave this in straightaway areas were identified that I needed to work on and alternatives choices I could make. I noticed around the 6 /7 week mark the difference, I have tried various different exercise routines before such as running, Zumba, going to the gym – but I have never noticed a dramatic of a change as this before. My friend and family were commenting on my size now too – which is a good motivator. Around the 12 weeks, I was given a change to my work out that I implemented 3 days a week and stayed with the original workout on the other 2 days. I also stated work on my Abs more. Again the change to my body shape was so noticeable, it was around this time that people at work were commenting. I feel like I’m in the best shape I’ve ever been before and felt so confidant on holiday – all the work was defiantly work it, I wished I had done it years ago! I really, honestly believe you need to be advertising to people with an under active thyroid. I cannot believe how much more energy I have. I have been taking the zinc, vitamin D and the omega three oils, however I have not taken them for two days as I have felt really nauseous due to a cold I have. The point I’m making: its the things that I am eating that is giving me all the energy I need. I cant wait to get my thyroid checked in a few months to see if my readings have got better. Prior to meeting Daniel, I was going to ask for them to be rechecked sooner as I felt knackered all the time. I did a cross fit competition on Saturday and felt full of energy (until all the adrenaline had disappeared). Sitting at a desk all day and using the car for over 5 years had made me really inactive. If I did manage to get to the gym I thought doing lots of cardio would change how my body looked. The problem was I never really saw any changes and I was losing what little motivation I had left. I was determined to make changes but realised I needed help to do it. I came across MPT online and plucked up the courage to go in for a chat. Everyone was really friendly and made me feel comfortable. I eventually started training with Hayley and I’m really glad I did. In the past year my body has become more toned and stronger than I could ever have achieved by training by myself. Hayley’s friendly and positive attitude means I look forward to every session. I’m actually disappointed if I can’t make one. Creating dynamic works outs and reviewing them on a regular basis has kept me motivated. Hayley’s experience and knowledge means that I’ve learnt the correct technique for exercises. The support she offers has meant that I push myself during every session. We set personal goals and I’ve achieved things like a 100kg squat and unassisted pull ups. Achievements that I would never have thought possible 12 months ago.. I’ve also gained lifestyle hints and tips that I can use outside the gym to help improve my everyday life. I can’t wait to see what I achieve over the next year from training with Hayley! Since training with Hayley for the past 2 years I can honestly say I look forward to my training sessions. Every session is tailored to what I need and is always changing to keep me progressing. I have learnt so much about diet and exercise at MPT, which allows me to maintain the healthy lifestyle. No longer do I have to dread going on the treadmill for as long as I can, but now I see better results from weight and resistance training. And an extra bonus is that my personal trainer is now a great friend. I have been training with Hayley for couple of months now and I don’t dread ‘exercise’ like I use to. My friends say I am looking much healthier and fitter!! Thanks Hayley and Daniel. I have had various gym memberships over the last 5 years. They have cost lots of money and I always lost interest and the motivation with training. This is why personal training sessions with Hayley have been good for me. She has given me the support, encouragement & advice that has helped me to loose weight and tone up. Each session is planned to meet my personal needs and goals. I have started to enjoy exercise and my weekly training sessions provide me with the motivation to keep to a healthy eating plan. After spending the last couple of years training with Hayley and Daniel, I have picked up so much knowledge on nutrition, hormones and other factors that affect body weight. I now have a much greater understanding of my own body, why and how I put on weight, and how to fix it – it’s not as simple as running on a treadmill and eating smaller portions. The bio-sig, combined with the knowledge of the Personal Trainers, gives you a food, exercise and supplement programme tailored specifically to each individual, and that’s something you rarely find. In this area, I find Daniel has much more knowledge than my GP, and I feel confident taking his advice on board and putting it to practice. I used to hate working out, but when you see results, it’s the greatest encouragement to keep going. The atmosphere is fantastic – you don’t feel like just another client, you feel like you’re a friend, and you know that the PTs are only a phonecall or text away – that’s how personal the service is. Definitely wouldn’t go to any other gym or personal trainer!! I have been training with Hayley once a week since September 2011. Through exercise and a better diet I have weight and more importantly enjoyed 2 skiing holidays without the usual knee pain and aching legs! I started training with Hayley 12 weeks after having baby number 2 and a c-section. I knew that I needed some expert help to rebuild my core strength, stability and muscle tone at the right pace (and without pain) – 3 months on I can honestly say Hayley has made a huge difference to the way I look and feel. The sessions we have are specific to my needs, varied and challenging, not to mention thoroughly enjoyable! When I first started training with Hayley my aim was to lose weight and tone up. I used to be a keen runner but with work and life getting in the way my running dwindled and I found that I was very rarely exercising, so I thought by doing some PT sessions it would get me back into exercise again. I have been training for the past year with MPT and it has changed my perspective, and fitness is now very much part of my weekly routine. I do weekly PT sessions with Hayley, attend the bootcamp classes and also get to the gym to train myself 2-3 times a week. Having been doing this for the past year I find that my fitness and energy levels have increased as well as dropping weight and feeling more toned I have also gained new friends in the MPT team. If I find myself struggling with my diet or training I only need to chat to Hayley or Daniel to re-focus and get back on track. In December 2012 I realised I was getting married in 10 months’ time, this was worrying because after looking at myself in the mirror I thought who would want to marry someone as overweight as myself. That was it my mind was set I had a goal to achieve and that was to look good for not just my fiancée but for myself, so the next step was finding someone to help me. That’s where Daniel came in, we had a chat and after our chat I was shocked to find out actually how big I was and how much work there was to do but Daniel was so positive I thought I’d be positive as well. So 3rd January was the start date and my whole life was about to change around, early morning gym sessions 3 times a week, 3 night time training sessions a week and then a boot camp on Sunday mornings. I now can’t believe how easy it has been adapting to such a healthy lifestyle and living, I can’t wait to get to the gym now and I’ve improved in every area from what I eat to how hard I train to when I need to relax as well as have a full time job. I would never believe I was the same person just 8 weeks ago and as you can see from the pictures if you’re willing to eat clean, train hard then you will look good and feel great and that’s how I’m feeling, all thanks to Daniel I wouldn’t of known where to start and now my future is a healthy one. I had been suffering with back pain for several weeks when I had my assessment with Danny, which highlighted the problem with my core stability, i.e. that it was very weak! After six sessions with Danny, I can honestly say my back pain has reduced dramatically, my core stability has improved greatly, and I am generally much stronger and fitter, which is due to the expertise and encouragement of Danny. I have to admit even I was impressed with this trainer. I now look forward to my gym sessions – they are no longer something to be endured! I have made more progress in the last six weeks with Danny’s help than I did in two years on my own i have no hesitation in recommending the service of this special trainer. I highly recommend Daniel as a personal trainer. He is both extremely knowledgeable and is a great motivator. I’m sure that if you have made the wise decision to train with him, then in a matter of weeks the results will speak for themselves. is a great motivator, not just to help you increase your reps but to encourage you to develop a positive mindset to help you achieve your goals. Daniel assesses my bio-signature and placed me on a tailored protocol specific to my body requirements and I achieved a reduction of 3% body fat over a four week period. If your going to invest in yourself, invest in the best! MPT have the best personal trainers in Lancashire in a small private gym where your not watched while training with the option of male and female personal trainers and different price points depending on your situation. They are all passionate and committed to making you look and feel the best you possibly can be and make you train in the right way. I have been training with Daniel 3 times a week for 4 weeks now and cannot believe I wasted my time with trainers from other gyms for so long when I wasn’t seeing the results I have got with Daniel after 4 weeks. 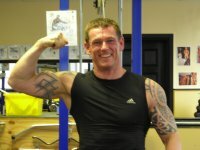 Fitness is now an important and enjoyable part of my life, rather than a chore, thanks to MPT!! I am so glad I got recommended! I found MPT through a local magazine and thought well I’ll give it a go! 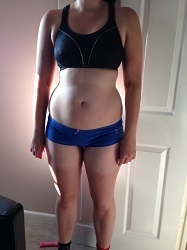 I have now had 8 sessions with Daniel and my body shape is already changing and toning! Daniel has also reassessed what I am eating to achieve better results. My whole outlook on exercise and food has changed for the better thanks to Daniel and the team at MPT. My sessions have made a massive impact on my life making me a happier and healthier person so i have signed up for another 6 months to continue to achieve my goals! Daniel, Hayley are two amazing people!! Thanks guys!! I have known Daniel for the past two years, in that time he has made significant difference to my level of fitness, with special reference to my tennis stamina and endurance. Since working with Daniel he has devised a programme specifically related to my tennis needs which has resulted in a noticeable improvement to my game. For years I suffered with problems with my neck and shoulder as the result of whiplash. Over the years the flexibility had deteriorated which made if difficult to exercise and the battle with my weight was a constant battle. I began my training with Daniel and under his guidance I have greatly improved the strength and mobility in my shoulder. Using the specially designed exercise programme, I have improved my posture and now feel slimmer and fitter than I have in years. I have never really enjoyed sport or exercising, but Danny’s enthusiasm and motivation a real pleasure, I would recommend anyone, whatever their personal goals are to give it a try. I lead a busy life; running my own business and home. I used to struggle to find the time to commit to a fitness programme. Then I discovered ‘box n burn’ a unique interval training exercise class that incorporates weight resistance. Once I’d tried this class, I was hooked. Daniel showed me how to create an holistic programme of diet, nutrition and exercise to improve my physique . I now manage to run my business, and find time to exercise too. Even though I was spending hours in the gym, I didn’t seem to be seeing any improvement in my physique. I decided to enlist Dan as my personal trainer. I enjoyed the challenges he set for me in his classes and took the Bio assessment, which is a diagnostic to assess my metabolic type. Just by talking and listening to Dan, I lost half a stone in the first 6 weeks! Moreover, I have acquired a completely different outlook on how I see food and how I eat and have adapted my exercise and diet to meet the needs of my body, thus acquiring a healthy lifestyle. I still enjoy and indulge in my food although now I don’t have to spend hours in the gym to compensate. I am happy, confident and full of energy. My friends, family and colleagues are amazed at the fantastic results I have achieved with the help of Dan. He has made my life so much better in such little time! When I first started to train with Daniel, I was suffering with whiplash. I needed to realign my posture and strengthen my muscles. After 6 sessions I was beginning to benefit, I was a lot stronger and fitter, and not only that, I have lost 12lbs and 11 inches and have bags of energy and confidence. Danny’s motivational skills are second to none. Danny truly believes in what he is doing, he lives and breathes it, and his enthusiasm is infectious. I am totally happy with my progression over the past few months, I feel really good when people say, “How do you do that?” or “One day I’ll be able to do that”. It proves to me how far I’ve come; because I used to think like that a couple of months ago, and thanks to Danny I have achieved so much. Daniel has provided me with the boost I needed for what had become a jaded routine and I will not hesitate to approach him in the future, if again I feel I need a training tonic. I started training with Daniel 10 months ago and I have to say the difference has been remarkable. The personal attention gives you total focus and the motivation from Daniel gives you no option than to give 100% effort at every session. The routines are varied and yes, they can be tough, but one thing is sure, you will certainly feel better at the end. My general energy and fitness levels have increased with my body fat being reduced. apart from the physical training sessions, Daniel’s enthusiasm and knowledge really does motivate you to simple lead a healthier lifestyle. For quite a few years I have suffered with back pain, it was affecting my personal life as well as having time off work. In May 2011 I had a free consultation with Daniel. After 6 weeks of training with him I was pain free. I was so impressed with him that I decided to carry on. With a combination of personal training and the new bio sig I have lost a total of 33lbs, going from a size 14 to a size 10. I can honestly say that I could not have achieved the results I have without the knowledge, advice and support that you get from Daniel, I just wish I had found him years ago!! Daniel has persevered with me and my ever changing body over the last 12 months, offering advice and encouragement when needed. I now feel less bloated, less hungry, have more energy and finally my clothes are beginning to fit me! This is a way of eating that I can definitely stick too, and hopefully over the next few weeks the inches around my middle and hips will start to decrease. I would recommend for anyone to try this style of eating… can’t even bring myself to call it a diet. It’s a way of eating that quickly gives positive results, so it doesn’t allow you to fall off the wagon as there’s no need to feel deprived. Having attended the gym for several years now, I was lacking motivation. Then someone told me about the circuit classes down at Brockhall Village run by Daniel of MPT. I have found the classes to be a fun and motivational way of keeping fit. It is also beneficial to have someone like Daniel there to make sure you are getting the most out of the class and also ensuring you are training correctly and therefore preventing injury. I would recommend Daniel’s classes to anyone who is looking to keep fit in a friendly and safe environment. My first meeting with Daniel was more or less 5 years ago, my wife bought me 10 sessions for my 40th birthday. I had got into a mess. From being a healthy gym goer in my 20’s we had a child and I had started up 3 businesses from scratch. 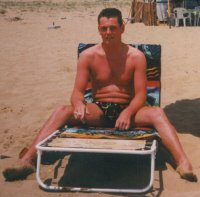 I ended up 13½ stone which at 5’8″ is pretty porky. It was hard to get back into exercise and I think I felt embarrassed at my lack of strength and fitness. The first sessions were soooo hard I though I was going to die. But, as with everything I do, it has to be all or nothing. I decided to go for it and gave myself 12 months at 4 sessions a week to hit my self imposed targets. Originally I just wanted to lose some fat and get fitter but then as I achieved this I decided I wanted to become much more muscular so the training regime and diets all had to change. 5 years on, I still weigh 13 stone but it’s pretty much all muscle now. From my original measurements, I now have a 30″ waist – a loss of 6″, and my chest is 42″ giving me a superb ‘V’ shaped physique. When I take my shirt off people ask me how I keep in such good shape, I can’t help but smile to myself when I tell them I’ve always been fairly trim!It really has been a life changing experience for me having Dan as a Personal Trainer. I have learnt so much about diet and nutrition as well as the exercises. I love going to the gym and only wish I had more time to spend there as I have new goals that I want to achieve. I do think that if I hadn’t been embarrassed into going in the first place I would be heart attack material now and it really is thanks to Daniel who spurs me on when I am dead on my feet at 6.30 in the morning and pushes me ever harder to achieve my goals. Ready to change your life, today?